A long time ago, in a galaxy far away, Adobe Photoshop had yet to be created. 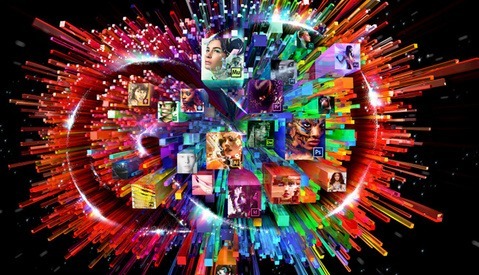 OK, I am being a bit dramatic, but Adobe is celebrating 25 years of Photoshop. Watch this video to truly appreciate how easy we have it in our digital age. If I didn't experiment while I was in school, I would be like the thousands of other kids my age who take Photoshop for granted, or maybe don't realize where it gets its roots. While many of us can call ourselves retouchers or at least write "proficient in Adobe Creative Suite" down on our resumes, truly great graphic artists of print media were few and far between. We may think we understand how ad agencies back in the day worked because we've seen a couple episodes of Mad Men, but the truth is it's a real art form that required intelligence and skill. Messy ink pens, rubber cement, and Rubylith makes the inner artist in me happy, but also gives me nightmares about trying to apply the same art to the tight deadlines of Fortune 500 companies. Could you imagine as a photographer spending so much time on a photoshoot, developing the film, carefully selecting negatives to expose, and for what? All to have the image returned because of a few little blemishes? Of course you can't, we have an attention span of a goldfish in today's age. Thank god for the the spot healing brush and batch exports, and thank god for Adobe. Thank them for creating photoshop? Yeah, but we're still left to cuss at them for that dumb mandatory creative cloud scam. Haha I've really liked cc but I can see why being mandatory is annoying. I don't wanna pay for the rest of my life to use the most essential tool to my career. It feels like you have to rent a plate and cutlery for each meal because you are not allowed to buy them outright. I feel extorted. And that is exactly what restaurants do in italy with your cutlery. That is the most outrageous thing ever! But still I assume you could bring your own cutlery? Are these restaurants owned by the cosa nostra? I'm with you on that. Most small studios would upgrade on a master suite for like 600 bucks then skip a version and get the next. Now if you need more than just photo set your stuck with 900 a year. Oh but you also have access to all of Adobe's junk programs... It really burns studios, most small studios used to skip versions because there usually isn't anything that's a wow factor from cs5 to cs5.5 or what have you, upgrades are cheaper and you used to just upgrade the essentials. Now I work at a place where they need to pay 17k a year every year instead of a couple of K for updates, we all compete with each other because if this keeps up another round of layoff will come like 3 years ago. I hope they end up facing a hostile takeover and half of their CC staff gets fired (to teach them a lesson) while perpetual licenses are reintroduced by the new owner. But I am probably dreaming, this won't happen. 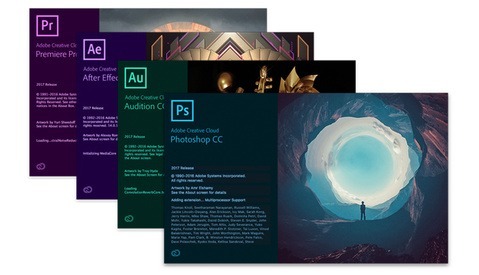 Just to be clear its $600 a year for the full suite and $120 a year if all you want is Photoshop and Lightroom. Its $50 for the full/complete suite and THATS what people would get if they bought it as the old master suite. So comparing pricing that includes stock which you didnt get previously is misleading and incorrect. On top of which its been $50 dollars from the 1st day they announced it for the full/complete suite. In fact when they 1st announced CC they offered a special price for anyone who had a previous CS product code. So for the 1st year it was something like $20 and went up to $50. 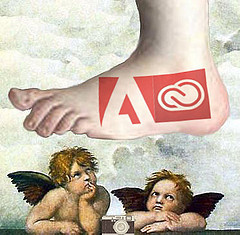 The Adobe Cloud is not Cloud Computing but Cloud Licensing. Never thought Microsoft would have better customer service. A cloud of farts is what it is. A big stinky cloud of farts! I remember doing my first newsletters that way back in the 1970's. I even bought a printing press, and so followed through with inking up the press to print them. Photoshop and early versions of their page layout program (I even forget the name of that program now) changed the whole game. Faster, cheaper, cleaner. What is not to like? Are you thinking of Illustrator? I don't recall using it, but I think that came with my intro to PS, somewhere around 1998-99. And I first ran it with a Pentium 90MHz processor. Illustrator came out in '87 and was developed for the Mac as most graphic software* was pre-Windows 3.1. * Photoshop, Freehand, Pagemaker, ColorStudio, ReadySetGo, LaserPaint, Xpress... and the kicker... even Word(!) <-- Wiki it. If you're referring to Mac-based layout, that was Aldus Pagemaker, not then an Adobe-owned product. Later came Quark Xpress to dominate on the Mac side. On the PC side there was Xerox Ventura Publisher and Frame, both of which had the advantage over Pagemaker and Quark (at the time) to be able to publish entire books. Pagemaker and Quark could only handle ads and catalog-sized publications early on. This was late 80s/early 90s. Wow, that video brings back memories. Cutting and pasting, sheets and rolls of letters, and decorative boarders, clip art (that you clipped out of a book and glued in place), wax sticks for temporary gluing and so much more. Those were interesting times. He's making it seem much more difficult then it was. There was a whole system in place to do this stuff, do it fast, and have resources for modifications. Evetually it started to meld into quasi digital production in the late 70s. Also, before there was Photoshop, there were Scitex retouching stations, Hell retouching stations, Quantels, Shima-Seikki's, Barco Creator running on SGI's, and a host of other workstations that were built to handle high resolution images Photoshop wouldn't be able to effectively work on until the mid-to-late 90s. I know because I worked on some of those workstations. Later on came Ron Scott's QFX running on 386 Compaqs, allowing for Scitex Workstation-like high resolution retouching feeding off 9-track tapes (the only way to store hi res files at the time) on a PC with the then new 12x12 Wacom tablets. Photoshop could not compete. I'm recognizing your Avatar from some other forums that I've been a part of for years... Adobe maybe? The Quantel PaintBox was incredible for it's day... including it's learning curve (I also worked on one for a very short time). And folks complain about PS's or LR's today??! Note relative to my reply to an OP above: yes, there was a lot going on with other systems, but development of the software titles I stated above all started out on a piss-ant little Mac. Also, calling any of the RISC-based or early 386-system "PCs" is not necessarily calling a spade a spade, because these were in most cases dedicated "work stations" built specifically for the software running on them. Hardly "personal computers" as we know them today and after MS took over. Quantel, Scitex, Hell, and Crossfield were the early heavy hitters, followed later by Japanese Quantel clone Shima-Seikki and Barco Creator on SGI Onyx and Indigo workstations. Mac software development came later on. Those were indeed off-the-shelf Compaq PCs, simply augmented by custom ISA cards and then rare IBM Winchester hard drives (10 megs, in the case of the Genigraphics system). There was nothing custom or proprietary about them. That was the beauty of the IBM PC design, it could be configured in any manner, a design concept that would eventually be incorporated into Macs. The 286 Genigraphics and 386 QFX systems were DOS-base. So yes, standard PCs of the day. Most people think Macs were the main graphics workstation due to the subsequent development of Postscript and programs you mention, but that was all later on. PCs were the first microframe-based graphics workstations. All others were miniframe-based systems. For instance, the Scitex unit I was familiar with (they could have different hardware configurations) was based on a clustered array of of 3 or 4 (don't quite remember how many) Unix-based HP 1000 miniframes, using RAID 0 arrays each for ram! Input and output was through 9 track tape drives (standard in those days for hi res images). The miniframe array had their own climate controlled room, standard fare for miniframes (and mainframes) back then. The images were sourced from a Crossfield drum scanner and outputting was to a McDonall-Dettwieler drum film recorder, a device originally designed for recording data downlinked from space satellites. The film recorder used 10 or 11 inch wide (don't remember exactly) Ektachrome film rolls. The scanner and recorder were in another climate-controlled "cleanroom". Old times! Again... I agree with you on the meat-n-potatoes... just that a Mac was never considered a workstation IFAIK, and that Scitex you just mentioned most definitely was a "workstation" in common parlance and usage. And yes... of course the Mac came quite a bit later, however it is still grouped with PCs and x86 compatibles later almost 99% Windows-based. I've been in the business of training, using and configuring Macs (mostly) for 30 years. I've never called a Mac a "workstation" and the only people and places that do are those trying to boost their own ego or marketing-speak. Even fully loaded Mac Pro's of yesteryear built out with expansion cards of one kind or another. Just semantics on my part, they're still just "Macs" in my book. And as you noted, those other Real Workstations were the definition of the word in comparison. Again: semantics, that's all. They actually bought it from Thomas and John Knoll in 1988, and it's a great product in many ways and a bad product in others. So thanks to the knoll brothers, thanks to adobe for making it powerful, and thank's god there's now some competition. Thank them? That's what the money is for! Thank them? Really? They make a product that essentially holds me hostage. I've always prefered film and paper, but I do like the ability to pull stuff from raw formats that would have otherwise been lost to a human error. I would like to point out, as someone who has assignment work at a newspaper, weddings, and commercial shoots on film, that it's really not as bad as you are making it seem. And it wasn't like this was in the dinosaur ages, I'm 33 and did this work back in 2001-ish. No one has ever thrown out an otherwise good image over a small blemish. I never agonized over which photos to develop. You developed the film (if it was color you just took it to the lab), made a contact sheet, and printed the pictures you want. It isn't terribly unlike loading your photos into Lightroom and deciding which ones are worth spending time on. 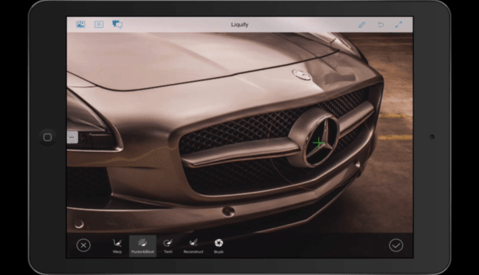 Adobe hasn't given us much more than we had 30 years ago, just in a different format. In the 1860's, one of the most widely recognized portraits of President Lincoln was a composite of his head on someone else's body. Jerry Uelsmann was doing composites in the mid 1960's that make most PS experts jealous. Nearly every feature Photoshop has to offer was already being done, it's just faster now and we can do more (which leads to a point for another time about quality vs quantity).